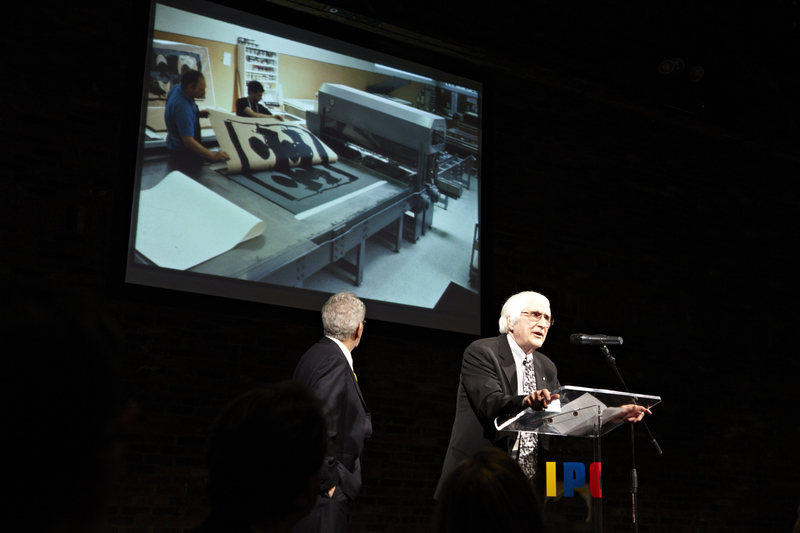 Each year the International Print Center New York (IPCNY), an institution ‘dedicated to the appreciation and understanding of fine art prints’ holds a spring benefit honouring luminaries of the print world. This year art writer Faye Hirsch, artist Robert Mangold and master-printer Ken Tyler were the honourees celebrated at a function on May 15. Frank Stella, Tyler’s long-time friend and collaborator, presented Tyler with his award and gave a presentation discussing Tyler’s unique printmaking career. These images were taken during the evening by Liam Alexander for IPCNY. 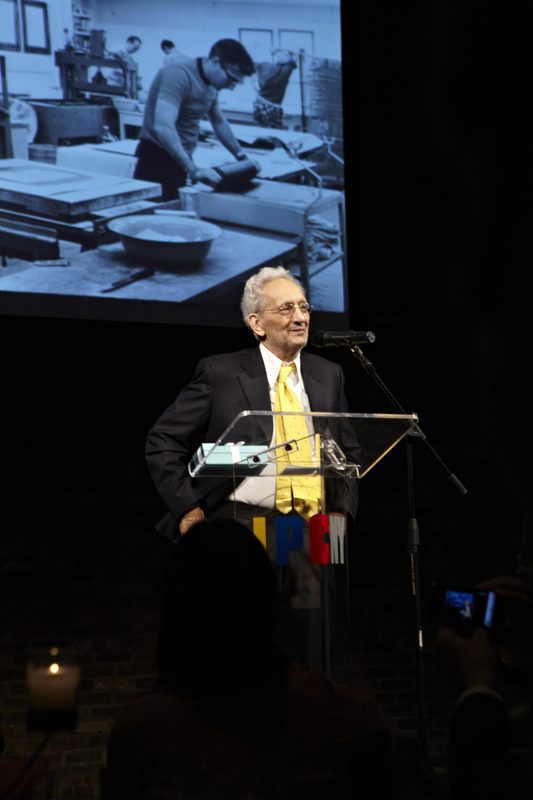 Frank Stella discussing Ken Tyler’s career at the IPCNY’s spring benefit. On the screen is an image of Tyler at the Gemini Ltd studios in the 1960s. 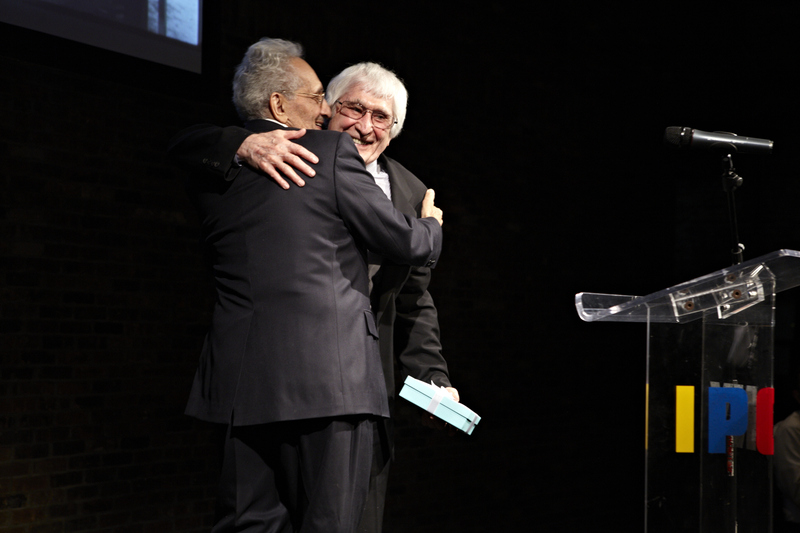 Frank Stella and Ken Tyler embrace as Stella presents Tyler with his award. 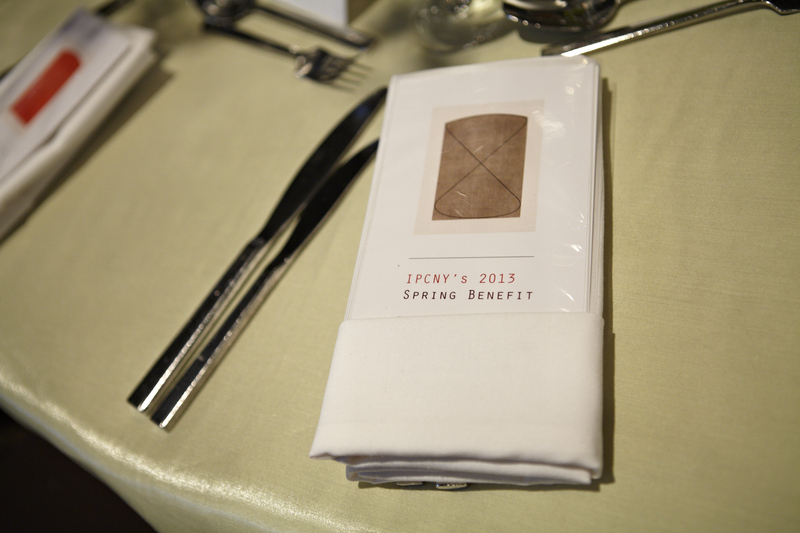 Ken Tyler giving his acceptance speech at the IPCNY’s spring benefit. On screen is an image of an impression of Robert Motherwell’s Elegy study I lithograph being pulled at the Tyler Graphics Ltd studio in Mount Kisco. You can read about Tyler and Stella’s working relationship here http://bit.ly/16XqoR0 in a lecture that Tyler gave last year when Stella was awarded the International Sculpture Center’s ‘Lifetime Achievement Award’.